The city of Walla Walla, WA. is nestled in the far south-east corner of our great state and is near the Oregon border. This city has produced some great football players over the years. Names such as Drew Bledsoe (NFL Quarterback), Peter Sirmon (NFL Linebacker) are some of the most notable standouts from Walla Walla. DanteMaiuri has made a lot of noise for such a young gun out of a remote market like Walla Wallla. There is more then smoke on this kids radar! 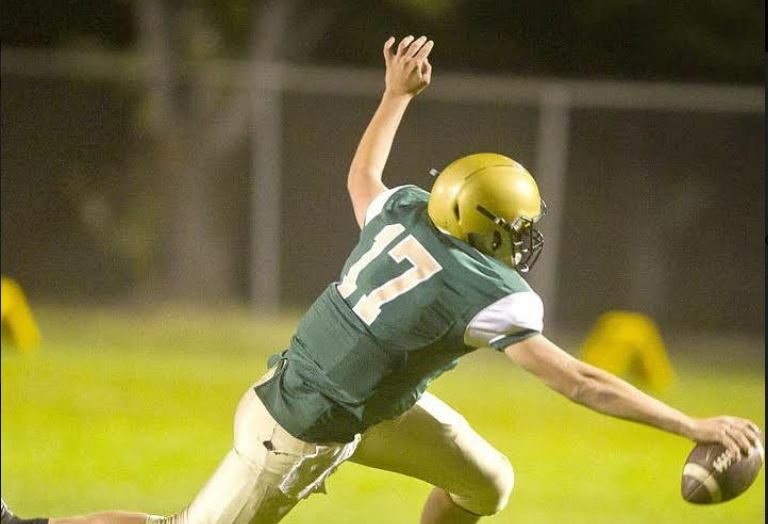 There is a young man who plays for Desalles Catholic High School in Walla Walla, WA. who could very well be on his way to being one of the next great players from that city. Dante Maiuri is a 6’1” 200lb FRESHMAN Quarterback. Despite this kid’s young age, his play on the field and off the field hold up against other players of any grade in high school in our state. Dante is a two-sport Varsity athlete. He played varsity football and varsity basketball this past year in his freshman season. Dante is also getting the job done in the classroom as well as he holds a 3.27 GPA. That is a great start to your high school career young man. Dante is building himself a very impressive resume with only one season of Varsity football under his belt and with three seasons left to improve. He attended the University of Washington QB camp and was named the MVP of the camp (he placed Top 3 in the QB competition). He was named Top 5 at Eastern Washington University QB Gauntlet Competition. He was a Punt pass kick finalist. During his freshman season, he led his Desalles HS team to the Washington State Playoffs reaching the quarterfinal round. Per Max Preps website he was the State of Washington passing leader in the 2B classification, he was top 30 overall for QB’s in the State of Washington for all grades, he is listed as the # 14 freshman QB in the nation statistically. I have reviewed Dante’s highlight film from his freshman season and there is a lot to like about this young gunslinger. I noticed right from the beginning of the film on play #1 that he has good size for a freshman QB and he is willing to step into his throws and deliver an accurate pass with pressure on him and knowing he is going to get drilled by a defender right in his chest. Throughout the highlight film, I liked the fact that he has good pocket mobility and is a very effective passer on the run outside of the pocket. Dante has good arm strength and throws the deep ball with accuracy. 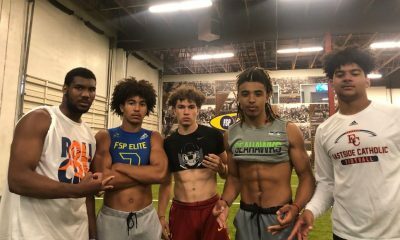 So far things have been quiet on the recruiting front for Dante obviously since he is merely finishing up his freshman school year, but he has had initial contact with Arizona State University (under there prior coaching staff), Central Washington University, Laverne College, College of Redlands. This kid is oozing with potential and is a very advanced quarterback at such a young age. He is certainly on the right path to be setting himself up to be a very recruitable quarterback by the time he finishes his high school career. Dante shared what he thinks his best attributes are that he brings to his team and to the game of football. I love those answers from Dante. I love a player who challenges himself and wants to compete always against high-level players. That is a great quality for a quarterback. Dante has some good family bloodlines, his father played football at Central Washington University during the Jon Kitna era. His father is also a relative to former University of Miami and 5-year NFL Quarterback Gino Torretta (who was the Heisman Trophy winner in 1992). One thing I like to learn about a high school athlete who aspires to play at the college level is what does the kid have inside of him that makes him special. I found Dante to be very intriguing because he is a very organized young man, who is eager to soak up all the information and experience available to him at a young age so that he is positioned to make himself the best student-athlete he can be and take the accountability and ownership of setting his future up and not relying on others to do it all for him. He is a hungry athlete who is dedicated improving any way he can. 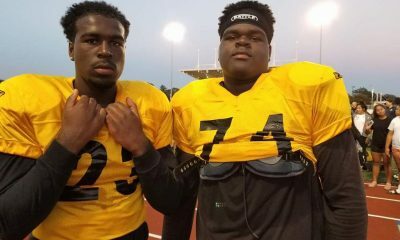 College recruiters I believe will be keeping an eye on Dante this upcoming sophomore season of his and then he will go onto some initial recruiting lists of kids to keep a closer eye on in the 2019 season (which will be his junior season). I look forward to following Dante over the next few years as he continues to develop and improve in all areas. Have a great offseason and upcoming sophomore season and embrace the grind. Dante will be at the NW Best Showcase June 2nd at LEWIS AND CLARK University where he will compete in front of some of the biggest universities in the Nation!